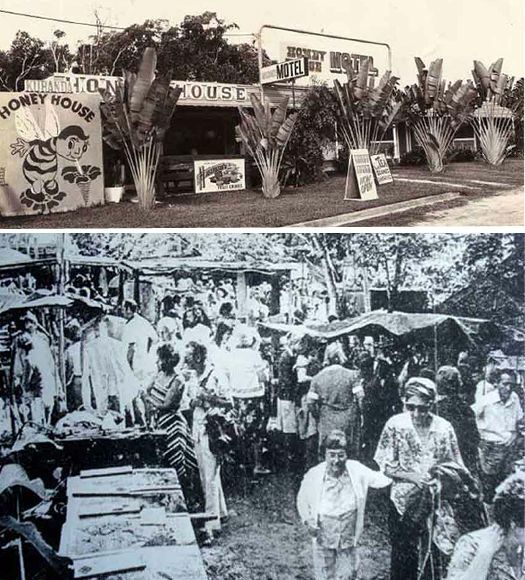 In 1977, James T. Mealing (unfortunately who passed away in 2012) bought the original Honey House and property from Howard Jones. James' wife, Olive (also now passed on) ran the Honey House business for some months to allow James to retire from the Main Roads Department to get on with his vision for the business and property he had just bought. With the help of construction friends setting up stalls with used materials, enlisting the help of the many artisans and crafts people wanting to sell out of the stalls, great homemade food products made to sell, tourist bus drivers altering their routes from Port Douglas to Cooktown, the Kuranda Scenic Train changing its timetable and finally the support of the new found Kuranda Tourist Association, the Kuranda Original Rainforest Market became THE PLACE for locals and tourists to visit. In 2005 Malcolm and Gina Macleod purchased the Honey House and property from James Mealing. The market stalls and surrounds have now been totally renovated and added to. 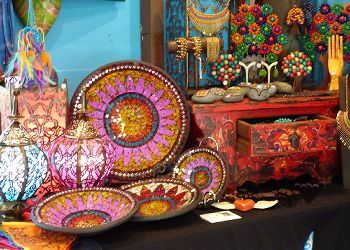 There are still vendors that have been there since 1977 as well as many more stall holders with unique products and services to sell. 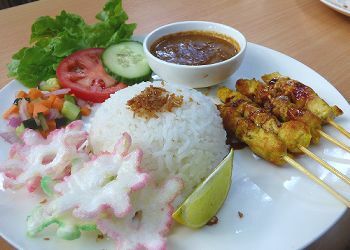 The dining is luscious with many choices of cuisines as well as homemade food products to purchase. There is now a unique 9 hole mini golf course built in the rainforest. There is usually live entertainment from local musicians. The addition of the 'Big Shed' has become a perfect venue for social events, art exhibits, fashion parades and more. 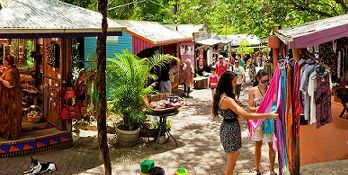 The Kuranda Original Rainforest Market has gone from strength to strength. Open daily from 9.30am - 3.00pm, locals and tourists alike, self drive, take the Kuranda Scenic Train or Skyrail and flock to the market to shop, dine, play.